The Fayetteville Kayaking Adventure is a guided kayaking tour that takes place on the beautiful 151 acre Long Pine Run Reservoir located in Adams County, Pennsylvania. 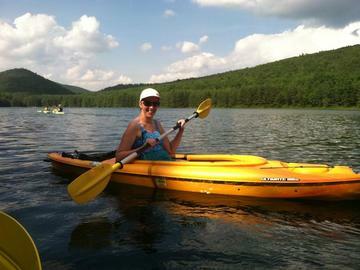 Kayakers on this tour will enjoy beautiful views of the wooded surrounding mountains. This tour is perfect for adventure-seeking beginners but also enjoyed by skilled kayakers looking for a relaxing paddle.